Hey, babes! I have a brand new indie line to share with you today! 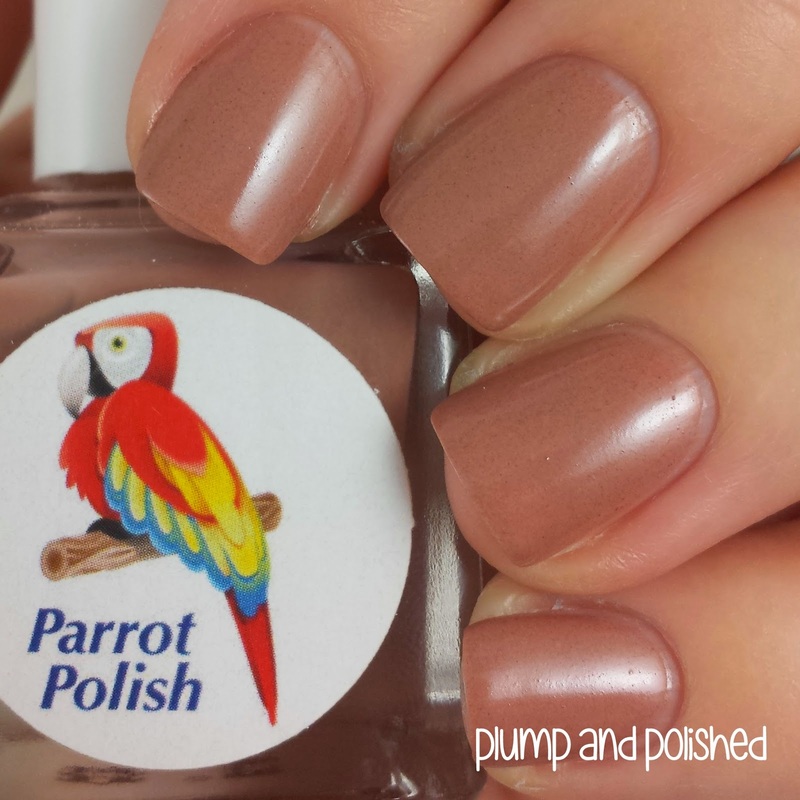 Parrot Polish launched this year! It's 3 free and handmade by a super sweet husband and wife duo. They sent me three cremes to start off. 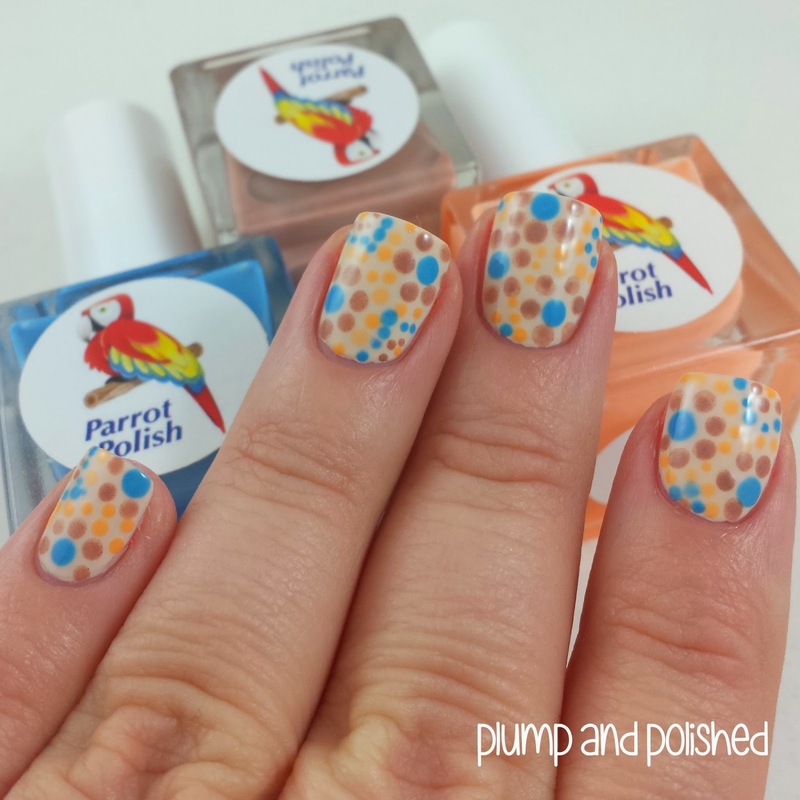 I'll have swatches of each polish, plus a nail art look so keep on reading! The application was a breeze! It was nearly opaque in one coat, but I used two. It dries to a satin finish. 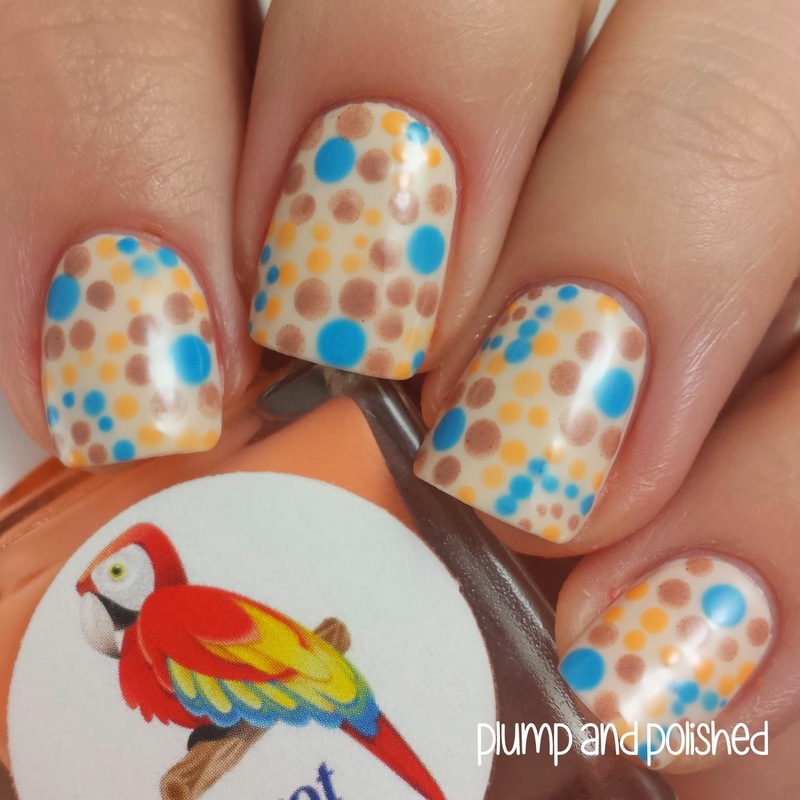 If you want more shine, just add top coat! 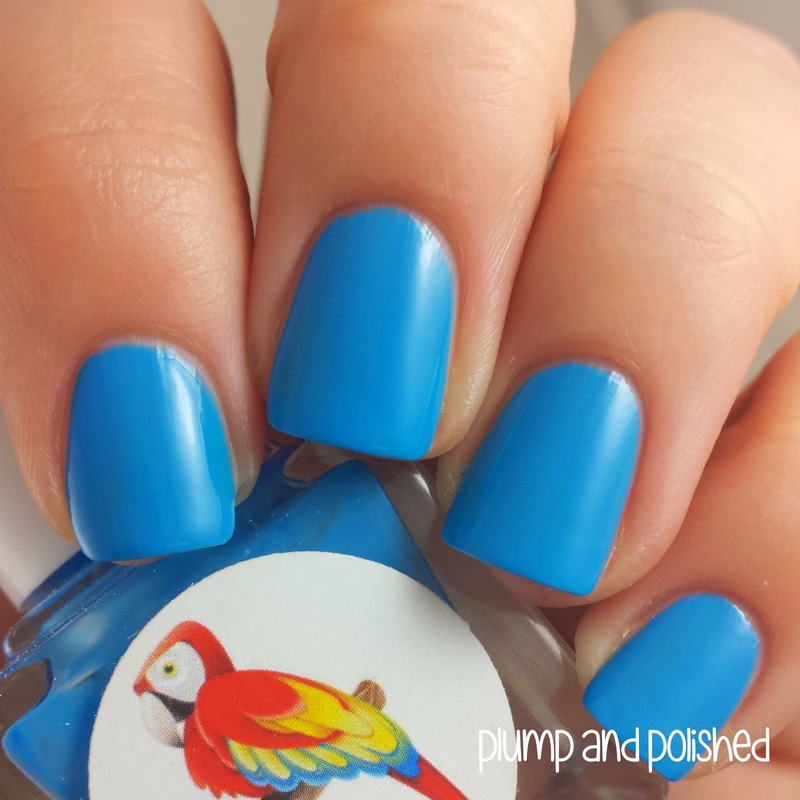 Those wasn't as opaque as Blue Jay, but it built up nicely in two easy coats. 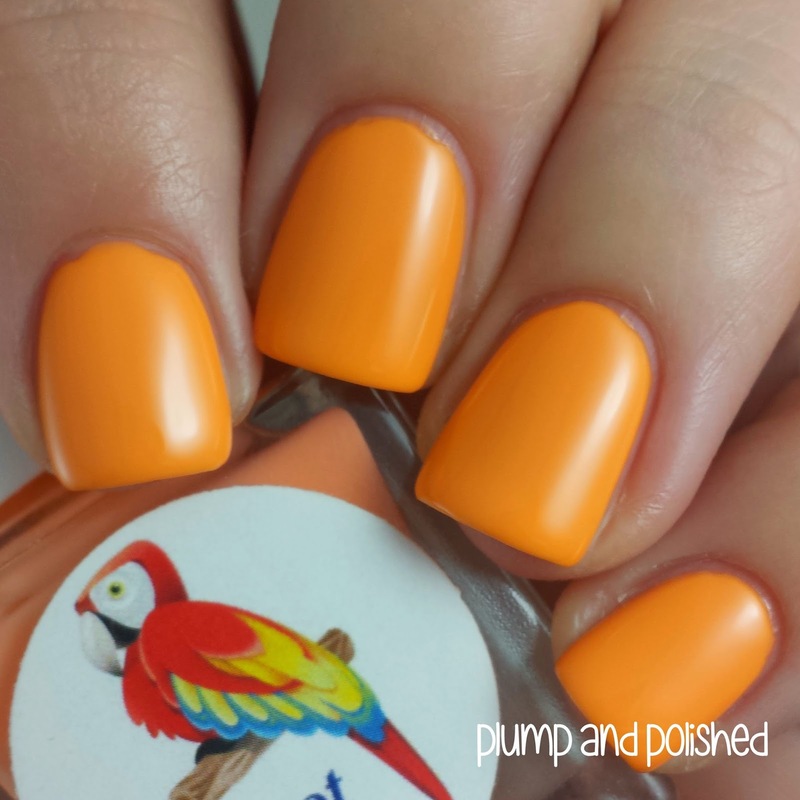 You can add top coat for a shinier look. This one is the sheerest of the three. Two coats was okay, but the third was perfect for me. This one is super squishy and was really shiny on its own. 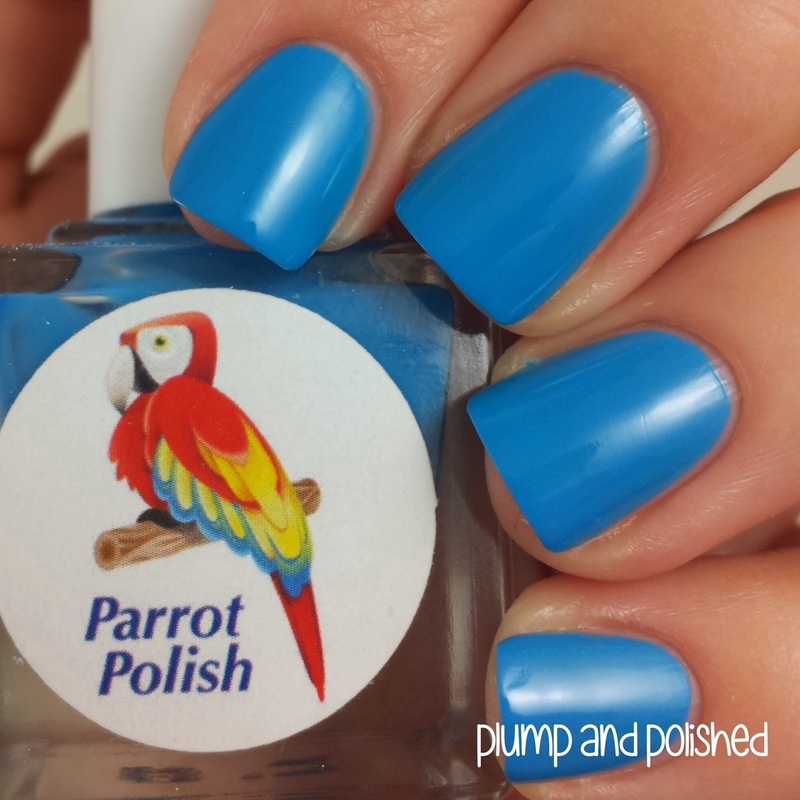 Parrot Polish can be purchased at ParrotPolish.com! Each full size bottle is $11.00 USD plus shipping. 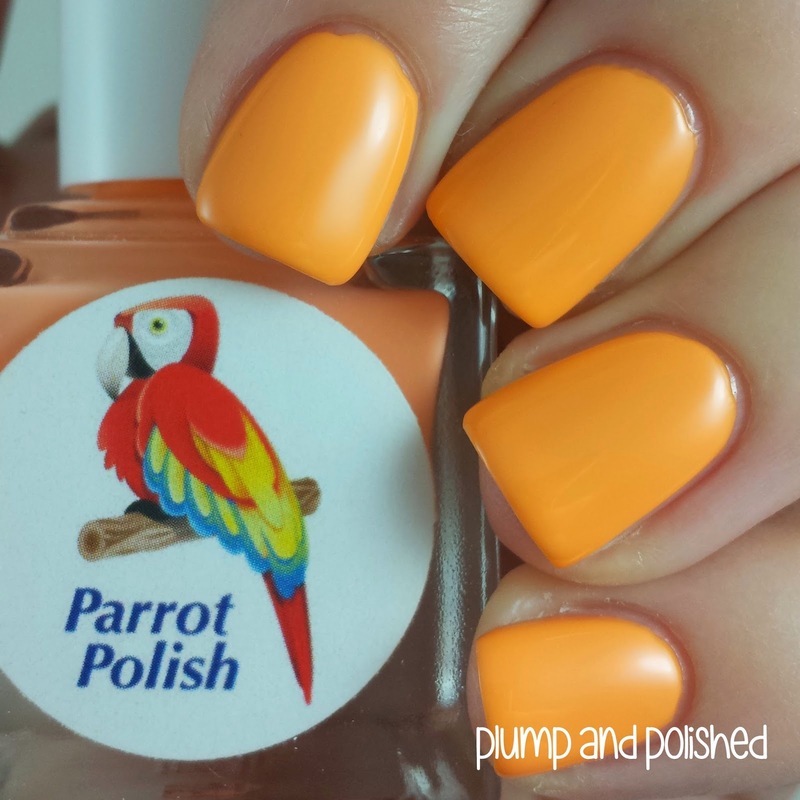 Stay up to date on all things Parrot Polish on Facebook! 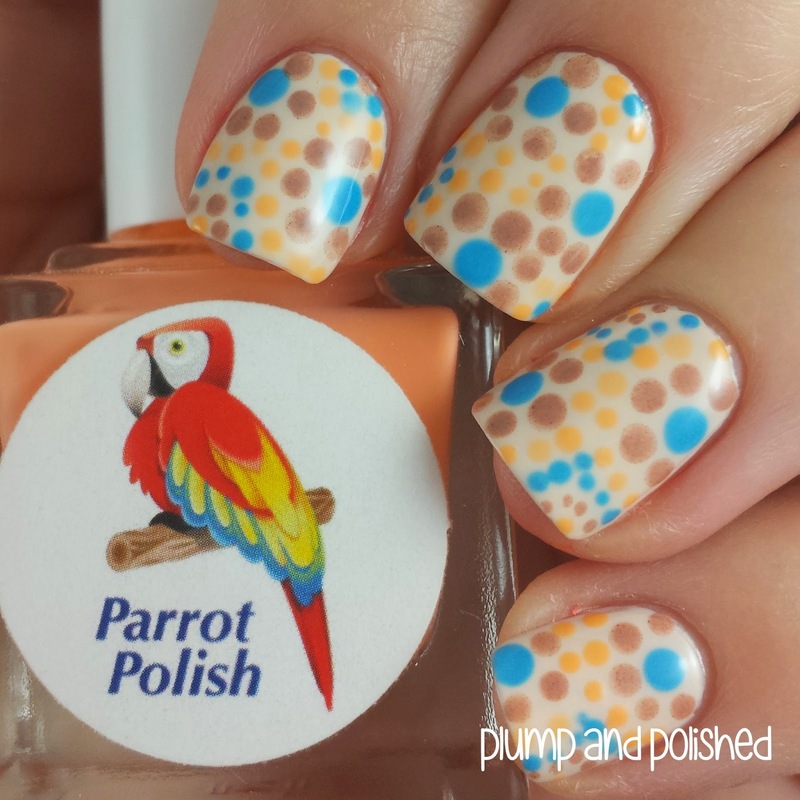 I love Blue Jay and your nail art! Cute! I love indie creams! Me, too! I'm glad they're starting to catch on. Thank you! I'm not typically a fan of brown, but I like this one.